Under certain circumstances, the photons behave either as waves or as particles. This observation does not necessarily has to be true, it can also be a simple shadow of a phenomenon which cannot be comprehensed by human thinking. 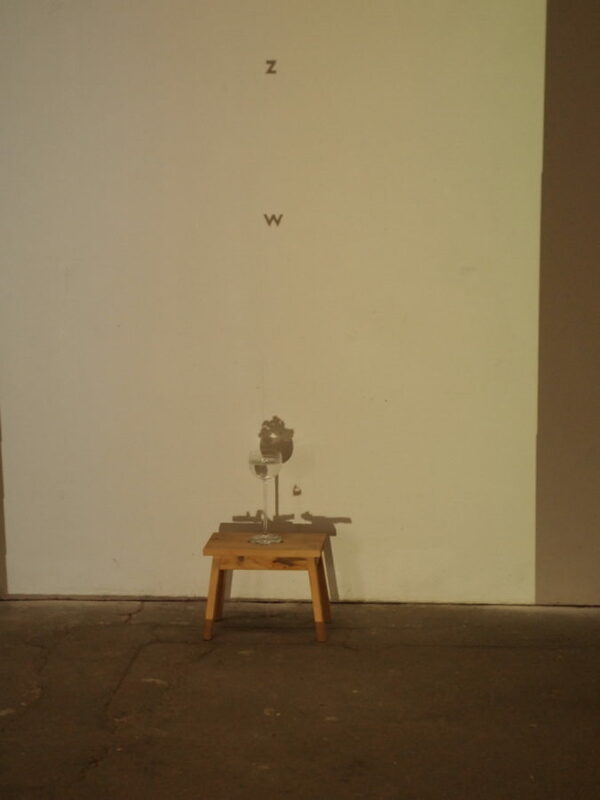 The generative projections consist of pseudorandom selection of characters and theis subsequent “bucketing” in the shadow of a real object (a glass designed by Jana Železníková). 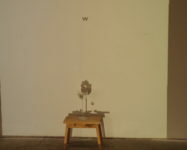 The resulting projection focuses on the semantic perception of words as well as of single elements of the installation.